Fish booking sites are they bad or are they good? WHO KNOW? They are popping up everywhere. 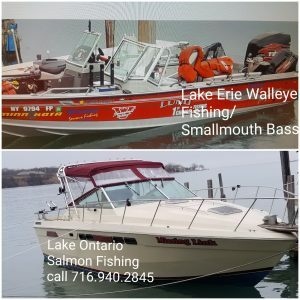 If you are looking for a Lake Erie or Lake Ontario Fishing Charter or wherever you are going (just google it) we are everywhere. Please you pay more we get paid less some work some don’t. I use a service and it’s been iffy 2 out of 3 has canceled why? Nobody has an answer I am torn they have talked a great show, but then we get a charter then it’s canceled that day or the next. WOW What do you do? I hate to leave a possible customer hanging but really I think the best for everyone is to call the Charter company directly. Now that being said when you do call a charter fishing company WAIT for someone to call back. Some of us or on the water and catching fish other are working other jobs (part Time fisherman and woman) Don’t call 15 companies then when you get a call back “oh I already booked with someone else”. That is just crazy. Read reviews. Go to that companies website and read.